The seemingly smooth surface of glass contains microscopic ridges and valleys that create a favourable environment for the buildup of glass surface contamination like soap scum, mineral stains, hard water deposits and grime. Protect your windows from a build up of grime, salt spray & residue. Even after ordinary cleaning most windows retain a level of residue. Vitroglaze acts by repelling substances that can adhere to the glass over time. 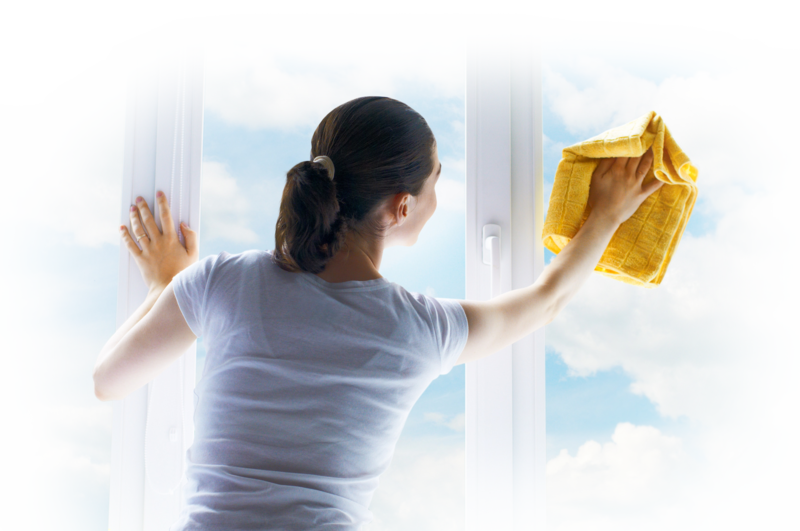 You not only have to clean your windows less often, surface grime just comes away, leaving your windows looking ‘brand new’. Keeping conservatory windows clean, can be the bain of any householder.Because a conservatory is mostly glass, and subject to the elements of the weather, any marks or build up of grime is immediately highlighted as soon as the sun comes out. Ensure your conservatory glass is clear with Vitroglaze. Balustrades are a popular choice for unobtrusive fencing. Like all glass though, any dirt and build up of oils on the surface will be obvious. Vitroglaze protection eliminates the need for intensive cleaning, repelling even water. Boat cleaning is a labourious task in anyone’s book. By adding that extra level of protection on marine glass and surfaces exposed to salt water, and elements, there is less likelihood of damage. Cleaning becomes a breeze. Kitchen and bathroom surfaces these days contain a lot of polished surfaces such as tiles, granite, and glass splash backs. Vitroglaze will keep your surfaces looking shiny. It repels all manner of oils, grease, soaps, food spills, and water residue. Cleaning becomes trouble-free, without the need for intensive chemicals to remove grime. Glass skylights are often difficult to reach and clean once installed. Because they are so heavily exposed to the elements of the weather, cleaning becomes a constant chore. Vitroglaze will ensure that your glass stays clear, so they don’t need cleaning as often. Most people find shower doors in their home are the biggest problem to keep looking clean. The build up of soaps, chemicals and water residue often leaves them with a cloudy appearance. Vitroglaze can restore the original clarity on your shower doors, giving you clear shower glass that looks brand new. What’s more it keeps them looking that way. Splashbacks end up with all manner of water, soap, and oil residue. When cleaned, they often retain a ‘smeared’ appearance. Keep your splash backs looking pristine, with Vitroglaze protection. Over time, tiles develop a thick film of residue from day to day activity, where splashes, and soap adhere to the surface. This makes cleaning difficult. Often the grouting shows the first and worst signs of build-up. By applying Vitroglaze your tiles keep their fresh, clean, appearance. Vitroglaze® is a permanent non-stick coating that will help reduce your cleaning by up to 90 percent. Maintenance of your non-stick glass will require much less energy, time and money. What’s unique about treated surfaces is that all those spots will not stick if they are removed every couple of days with a wipe down with a damp cloth. It’s a similar situation with Teflon protection ~ you wouldn’t put your Teflon® coated fry pan away without wiping it down first. To ensure the life of the Vitroglaze®, we recommend that you use a clean damp cloth every couple of days and give the surface a wipe over and then dry with a soft cloth. If you do notice a slight build up of grime, simply apply some VITROclean glass cleaner to the surface and wipe over. Rinse with cold water and dry. It’s that simple. 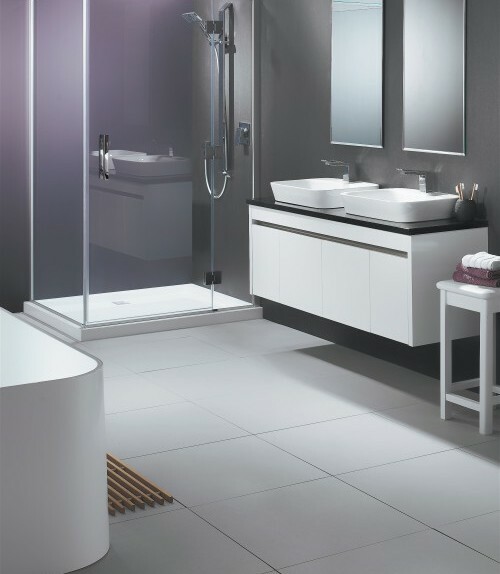 The warmer the water, the greater the surface tension and spotting, therefore shower doors require a little more maintenance than other applications like windows or glass balustrades. After every shower, rinse with lukewarm water, dry the glass using a microfiber cloth or towel. This will help to keep your shower looking pristine and will mean you do not have to clean the glass so often. Or if you prefer to not dry after rinsing, you will need to clean more often. By not drying the glass each time spotting may occur. The Vitroglaze™ coating makes spots easy to remove but cleaning may be required each week, depending on water quality.